Highly Recommend written by mobile Diaper must to buy ! Diaper with good quality, great price and fast delivery. Highly Recommend written by mobile It is a best quality and fast delivery. I will return to buy the pampers, for the special offer and fast delivery, it is worth it. Logistics distribution is extremely unpleasant for consumers to shop here for the first time, and should not be consumed by this shopping network in the future. Recommend written by mobile The delivery speed is very fast and the price is very good. The goods are good, the utility is very soon, I welcome you to visit the store. Fast and cheap, there are discount rolls available! Will be repurchased afterwards! Good product quality, shipping is quite fast, recommend it to everyone. 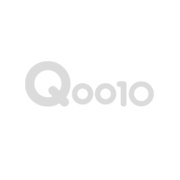 The first time I purchased the Qoo10 merchandise, I chose Taiwan's chain pharmacy, and the delivery was very fast, but I only received the foreign transaction fee in addition to the price of the merchandise after the first purchase. Hello, can you mix and match Nb one pack 3 packs S out of a box? I ordered one box for S and L, and I received the goods on 4/8 Monday, but the shipping order number is different from the one on the order form. On the 4th and 10th Wednesday, I received the L number and the 4/11 Thursday received the S number. The order numbers for the two days are correct. The whole is more than 2 boxes, and the phone on the mail is dialed to the other party and the phone is stolen. Hello, I am sorry, because the homework is lost, so I sent two boxes to you. I have sent logistics personnel to collect the goods, which is causing your inconvenience. I am very sorry, thank you. Why do I still need to add an additional 105 yuan return service fee for diaper order? Hello, I ordered two boxes and only got one case. Only one of them is written above. Would you like to ask if you missed it?